Are you attending ISTE in Philadelphia? We will see you there! 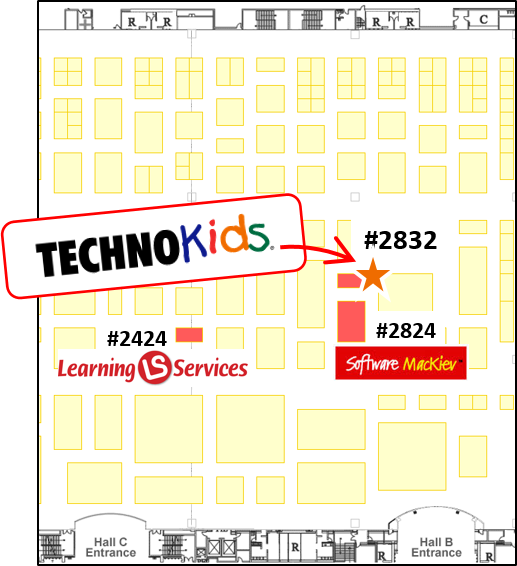 If you are interested in technology projects for Microsoft Office, Google Apps for Education, or KID PIX 3D stop by Software MacKiev’s Publisher Pavilion (#2832). Discover education projects ideal for the classroom. Find out about new Google Apps for Education technology projects. Win a Google Apps for Education teacher guide. Win a KID PIX 3D Activity Book with 20 activities and 10 workshops for Grades 1-3. Software MacKiev – #2824: Explore premium educational software. KID PIX 3D, HyperStudio, Mavis Beacon Teaches Typing, and more! Learning Services – #2424: Find resources! Discuss your needs with an expert in educational technology products. Software MacKiev’s Publisher Pavilion – #2832: Discover a wide range of educational products ideal for the classroom.